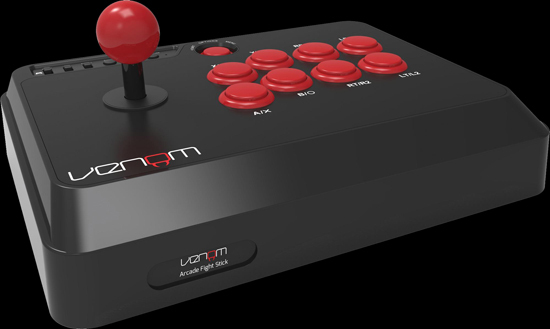 Arcade Fight Stick, a brand-new fighting game controller designed for cross-format compatibility, available for use on Xbox One, PS4, Xbox 360, PS3 and PC. Designed to be as at home when played on the gamers’ lap or when locked in battle on a desk or table, the Arcade Fight Stick features sleek lines and understated good-looks, complementing any gaming rig with style. The compact footprint has been designed to make tournament play simple, allowing for easy portability wherever the gamer may go. Fashioned after popular arcade configurations, the Arcade Fight Stick features the classic ball-top joystick and eight-button arcade layout, making members of the fighting game community feel instantly at home and ideal for all popular fighting games as well as retro-gaming across all platforms. For those looking to make their gaming sessions a little less stressful, the included turbo functionality can be assigned to any of the action buttons with a simple flick of a switch! 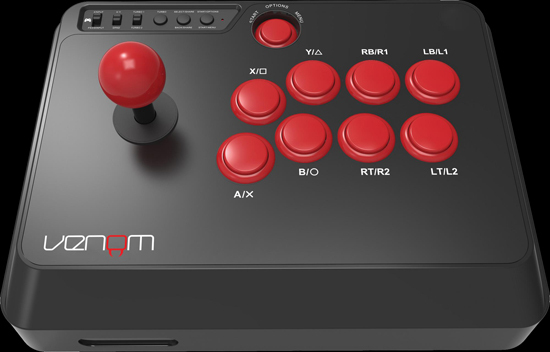 Premium build quality and components deliver the reliable and robust action demanded by pro gamers, and the Arcade Fight Stick has been specially designed to make modding a breeze should gamers wish to swap out components at a later stage. Featuring a generous three metre USB cable, the Arcade Fight Stick offers ultra-reliable plug-and-play connection, essential for competitive play. The Arcade Fight Stick retails for an SRP of £59.99 and is available at Amazon.co.uk alongside all leading gaming retailers.